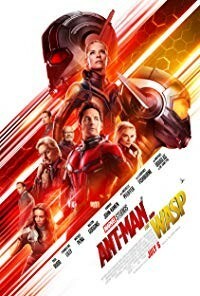 Plot: As Scott Lang balances being both a Super Hero and a father, Hope van Dyne and Dr. Hank Pym present an urgent new mission that finds the Ant-Man fighting alongside The Wasp to uncover secrets from their past. Starring: Paul Rudd, Evangeline Lilly, Michael Pena, Walton Goggins. distributed by Buena Vista «Ant-Man and the Wasp» in the US movie theaters released on July 6, 2018 and has grossed over $544 million worldwide; dvd and blu-ray release date was set for October 16, 2018. Rent from Netflix and Redbox from October 19, 2018. «Ant-Man and the Wasp» in the UK released in movie theaters on August 3, 2018. The movie released on dvd and blu-ray on December 3, 2018.